I have written on numerous occasions about the inconsistent record that Argentina’s wines have had for aging. Even today, too many Malbec bottlings in particular are attractive upon release but don’t go anywhere interesting in bottle. Some rapidly lose their freshness. But the wines from Bodega Catena Zapata, including the Chardonnays, have established an impressive track record for longevity—not to mention positive development in bottle. The Nicolás Catena Zapata wine is Exhibit A. My vertical tasting in New York in September went back to the first release, the 1997, and only one of my bottles—the 2000—was clearly past its peak. Even the earliest vintages showed claret-like complexity and finesse of texture. Most impressive, the high quality of this special bottling has been remarkably consistent from year one. Nicolás Catena’s grandfather Nicola, who arrived in Argentina from Italy in 1898, planted Malbec in Argentina in 1902. Under the direction of Nicola’s son Domingo, the Catena family became one of Argentina’s largest vineyard holders during the first half of the 20th century. But by the 1960s, the winery was struggling, as Argentina’s economy was in desperate shape and inflation was soaring. Domingo’s son Nicolás took over the family business in the 1960s and focused on improving distribution within Argentina during the ‘70s. When Argentina’s political and economic situation was particularly gloomy in the early ‘80s (Argentina’s war with England over the Falkland Islands took place in 1982), Catena left to become a visiting professor of economics at the University of California-Berkeley (he had previously earned a PhD in Economics in Mendoza and a Master’s degree later on at Columbia University). While there, he regularly visited California wineries, especially in Napa Valley, and he returned to Argentina obsessed with the idea of making wines that could compete with the best in the world. In the late ‘80s, Catena hired the Bordeaux winemaker Jacques Lurton, who had also begun making wine in Australia in 1984, to assist with Cabernet Sauvignon, then Californian Paul Hobbs to help him make Chardonnay in the traditional French way, rather than in the classic Italian oxidative style. At that point, Catena already had a history of making Cabernet Sauvignon, having launched the Saint Felicien Cabernet Sauvignon in the 1960s from Lunlunta in Maipù. This was the first 100%-varietal wine produced in Argentina. Over the years it had become Argentina’s most collected red wine. The search for cooler began in earnest during the late ‘80s, especially following a comment by Lurton that a barrel sample of one of Catena’s Cabernets tasted like a Languedoc wine. From the beginning of his career in wine, Catena was excited about Cabernet Sauvignon in Mendoza. Although his father Domingo had been telling him for years that Malbec offered great potential in Argentina, at first neither Lurton nor Hobbs nor Catena’s then-winemaker José “Pepe” Galante, who is widely considered to be the father of modern winemaking in Argentina, really believed in Malbec. Nor was Catena himself convinced, as his early trials with Malbec in the ‘80s had yielded rustic wines that lacked the concentration of his Cabernets. At the time, the biggest advocate for Malbec was Catena’s viticulturist, Pedro Marchevsky (who eventually left in 2001 when he married Susana Balbó and founded Dominio del Plata with her). Catena put Marchevsky in charge of his Malbec vineyard project and in 1993 the winery made a good Malbec from vines in the Angélica vineyard, which had originally been planted in the 1930s but had fallen into disrepair due to overcropping. 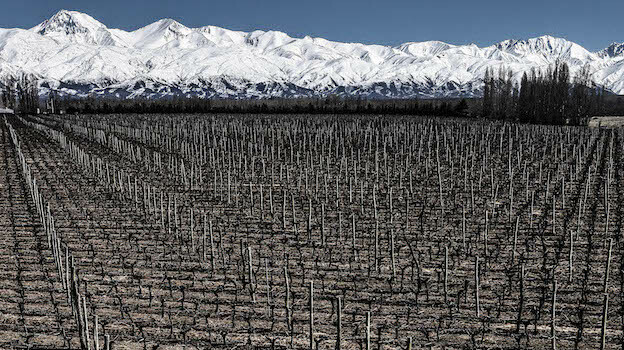 It was not until he found appropriate higher-altitude, cooler sites for Malbec that Nicolás Catena made a major push with this variety. In 1994, Catena brought in a new winemaking consultant from Tuscany, Attilio Pagli, who was also excited about the potential of Malbec. Pagli proposed beginning the fermentations at cooler temperatures in order to preserve aromas and advised carrying out shorter macerations with Malbec than with Cabernet. He also introduced saignée for the Malbec as a means of making more concentrated wines. 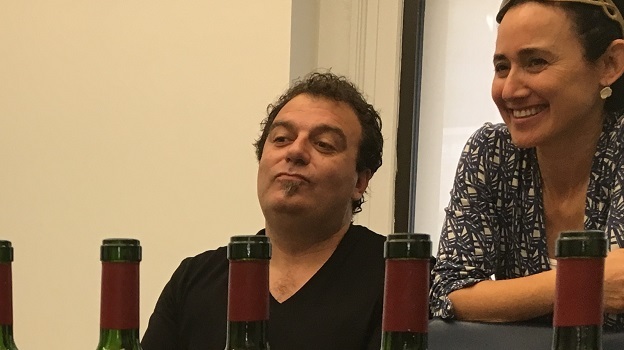 Catena was sufficiently pleased with the 1994 Malbec that he decided to sell it in the U.S. at $20 a bottle retail, which was significantly higher at the time than the prices of either his Cabernet or Chardonnay, and in fact generated push-back from wine buyers. 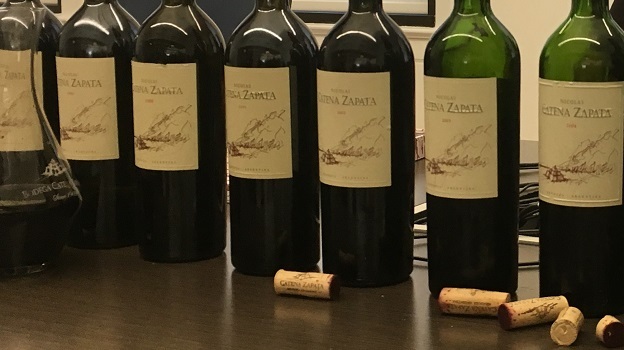 In 1995, under the direction of Catena’s daughter Laura, who then and now practices medicine half-time in San Francisco and wine half-time in Argentina (today she is Managing Director of Bodega Catena Zapata), the winery began planting 135 distinctive plants and clones (originating from Lot 18 in their La Pirámide vineyard), eventually selecting the ones with the smallest berries, best balance and lowest yields to plant in all of their subsequent cool-climate vineyards. Catena père introduced his first high-end Catena Alta wine from Cabernet Sauvignon from the La Pirámide vineyard in the Agrelo district of Luján de Cuyo in vintage 1994, then bottled his first Catena Alta Chardonnay in 1995, from the cool Tupungato region. The following year he made a small quantity of Malbec from a favored section of La Pirámide. This vineyard, incidentally, is not particularly high at 3,100 feet above sea level, but the clay component in its soil, according to Laura Catena, has a cooling effect equivalent to about 2 degrees Celsius. Inspired by the high quality of the 1997 vintage, especially for Cabernet Sauvignon, Catena introduced a new high-end blend that year, naming it Nicolás Catena Zapata (Zapata was his mother’s maiden name). A blend of 95% Cabernet Sauvignon and 5% Malbec made in a Bordeaux style and intended for long aging, the 1997 was released in 2001 and made an immediate splash in the international marketplace as it bested numerous top Bordeaux and California Cabernet-based wines in a series of blind tastings in Europe and the U.S. Since its initial vintage, the core of the wine has been the 78-acre La Pirámide vineyard next to the Catena Zapata winery in Agrelo (a pyramid-shaped building inspired by Mayan architecture). The soil here is deep alluvial loam and clay over a layer of round rocks ten feet down. Planted at an altitude of about 3,100 feet above sea level, the site enjoys wide diurnal variation and has proven to be ideal not just for Cabernet Sauvignon but for Malbec, Cabernet Franc and Petit Verdot. Over the years, as the Catena family has discovered and exploited cooler sites for Malbec, the Nicolás Catena Zapata blend has included up to 25% of this variety, which Laura Catena says adds freshness, as it has highish acidity and typically a lower pH than the Cabernet. At the outset, the Malbec component came from the very old Angélica vineyard, but as Catena’s newer plantings came on line, Malbec grapes from the Adrianna vineyard in Gualtallary (in Tupungato) and the Nicasia vineyard in the southern Uco Valley were added to the blend in 1999 and 2000, respectively. During the early years, the Nicolás Catena Zapata bottling was a team effort between Catena and winemaker José Galante, who made the 1997 through 2001 vintages. For the harvest of 2002, Catena then hired Alejandro Vigil, who had been director of the soils division for Argentina’s National Institute of Agricultural Technology and also made wine. Vigil was put in charge of making Catena’s top wines, the Catena Alta and Catena Zapata line-ups. (Vigil vinified the 2002 and was responsible for blending the 2001.) Vigil knew at least as much about viticulture as winemaking, which was rare at a time when winemakers and viticulturalists each controlled their own “domains” and winemakers had little influence on the work of viticulturists. Laura Catena told me that she quickly realized that “Vigil’s knowledge of micro-terroirs and his focus on parcellization would give us our next big leap in quality,” and beginning in ’02 she and Vigil launched an effort to zonify the micro-terroirs­­ in all of their vineyards. The hugely talented Vigil is also a master blender (he works with Nicolas and Laura Catena to make the final blends) and has taken the top Catena wines to ever-higher levels of quality and complexity in recent years. The maiden 1997 was aged in 80% new French oak barriques but the percentage of new oak for aging was quickly brought down to 50%. Vinification takes place in all new barrels for the structural component the new oak gives, but the wine is then moved to 50% second-use barrels for aging so that the wood element doesn’t take over the wine. Beginning with the 2006 vintage, the oak influence was further diminished through the use of 500-liter barrels. The wine is bottled between 18 and 24 months after the vintage. In the early years, it was racked four or five times, but today Vigil racks only after the malolactic fermentation and before bottling as he finds that less racking is more protective and gives the wines better biological stability. Vigil, who crafts the top Catena wines from literally dozens of components, not just from a range of altitudes and varieties but harvest dates as well, told me that in recent years he has co-fermented small quantities of Cabernet Franc and Petit Verdot in the Nicolás Catena Zapata blend because these varieties “add freshness, structure and balsamic aromas.” Although the winery mentions only Cabernet Sauvignon and Malbec in their technical data accompanying each new release (the varietal breakdowns I have listed in my tasting notes similarly quote the winery’s figures), Vigil used a bit of Cabernet Franc in the 2006 bottling and a small percentage of Petit Verdot in 2005 and 2006. Beginning with the 2010 vintage, the Nicolás Catena Zapata blend has included 3% to 5% of Cabernet Franc and Petit Verdot each year. Annual production of the Nicolás Catena Zapata blend is typically in the range of 2,500 to 3,000 cases; recent vintages have carried a retail price tag of $135. As my recent vertical tasting ended with the 2010, I have appended my notes on the 2011 and 2012 vintages from my coverage published on Vinous the past two years. Clearly, based on my experience of this vertical tasting, those two vintages will require longer to approach maturity, and are likely to age longer, than my originally published drinking windows would suggest, and I have adjusted these dates accordingly. I hope I will be able to make the same statement in the future for more of Argentina’s top red wines.